IMS Solution LLC warrants that parts purchased from an authorized IMS Solution dealer or distributor, that were installed by a qualified installer and that were installed in compliance with, and precisely following, all guidelines and procedures, to include registration, set forth in the product installation guide, are free from defects in materials and workmanship for five (5) years/unlimited miles from the date of part installation for the single or dual row IMS Solution (106-08.20 & 106-08.40). The Single Row Pro IMS Retrofit is covered for two (2) years/24,000 miles from the date of part installation. This limited warranty does not cover products purchased through online auction websites and is not to be sold “retail” to any “consumer” as that term is defined under the Magnuson-Moss Warranty Act, 15 U.S.C. 2301 et seq. No other express warranty is given and no affirmation, by words or action, shall constitute a warranty. This warranty applies to vehicles registered and normally operated in the United States and Canada. 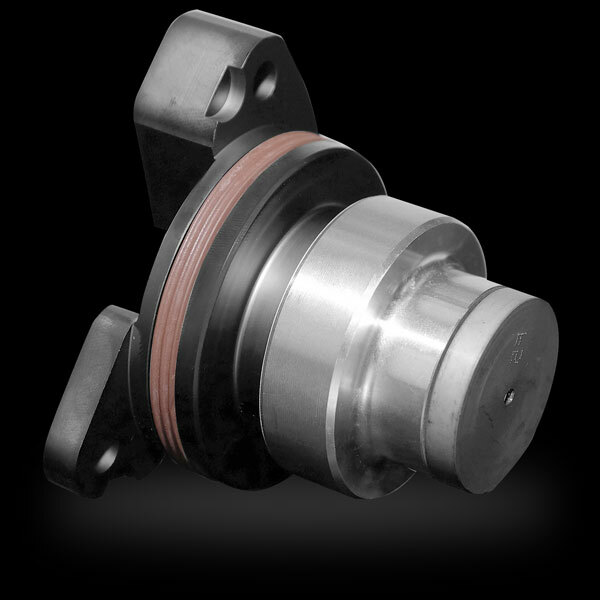 THIS WARRANTY IS VALID ONLY ON IF THE IMS SOLUTION LLC PRODUCT WAS INSTALLED AS PART OF PREVENTATIVE MAINTENANCE BEFORE THE ORIGINAL BEARING FAILED OR BEGAN TO FAIL. ABUSE, INCORRECT, OR UNAPPROVED INSTALLATION OR ANY DEVIATION FROM THE INSTALLATION GUIDELINES AND REQUIRED INSTALLATION PROCEDURES INCLUDING PRE-QUALIFICATION, TO INCLUDE REGISTRATION, WILL VOID THE WARRANTY. The sole and exclusive remedy against The IMS Solution LLC arising from this warranty is limited to, at IMS Solution LLC’s option, replacement of the defective part manufactured/produced by The IMS Solution LLC or refund of the WHOLESALE purchase price of the IMS Solution LLC product. Non-IMS Solution LLC product subcomponents ARE NOT covered by this warranty. If an IMS Solution LLC certified installer installed the failed part and an IMS Solution LLC certified installer does the subsequent repair, the labor by certified installers is covered, up to $50 an hour, not to exceed 100% of the part’s WHOLESALE purchase price of any IMS Solution LLC product, however, reimbursement of installation labor, if incurred as a result of the failure of any IMS Solution LLC product, must be pre-approved by IMS Solution LLC. Once IMS Solution LLC receives your warranty claim, we will evaluate it (typically within 7-10 business days of receipt) to determine whether the returned product does not conform to the limited warranty. If IMS Solution LLC determines that there is a warranted defect in the product, IMS Solution LLC will, at its option, remedy the defect as set forth in the limited warranty. In the event that it is determined that the part must be replaced, the original part must be returned to IMS Solution LLC along with documentation that the warranty validation and registration requirements, listed below, have been fulfilled. with a copy of the invoice showing professional installation of the IMS Solution within the warranty period. Single Row Pro IMS Retrofit registrations should NOT be sent to LN Engineering LLC; they must be returned to IMS Solution LLC for processing, as they are not an LN Engineering product. Online sales or auction confirmations are NOT accepted for warranty verification. Except for the express warranty stated above, IMS Solution LLC makes no warranties, either express or implied, for or with respect to any part purchased, and MAKES NO WARRANTY OF MERCHANTABILITY OR FITNESS FOR A PARTICULAR PURPOSE of any kind or character. IMS Solution LLC shall not be liable for incidental or consequential damage, including but not limited to, rental car fees, loss of income; damage to vehicle, attachments, trailers and cargoes; towing expenses; fees; or any liability with respect to any other person. Your original part and sales receipt must be returned with a completed warranty registration form within thirty (30) days of installation. Parts replaced under this warranty carry a new thirty (30) day warranty from the time the replacement part is installed. TO THE FULLEST EXTENT OF THE LAW, ALL IMPLIED WARRANTIES, INCLUDINGING WARRANTIES OF MERCHANTIBILITY AND FITNESS FOR A PARTICULAR PURPOSE ARE SPECIFICALLY DISCLAIMED. THE IMS SOLUTION LLC SHALL NOT BE LIABLE FOR ANY INCIDENTAL OR CONSEQUENTIAL DAMAGES ARISING OUT OF THE USE OF ITS PARTS. IMS SOLUTION LLC PRODUCTS ARE NOT A “CONSUMER PRODUCT” AND NO “DO-IT-YOURSELF” REPAIR/INSTALLATION IS COVERED BY THIS WARRANTY. IMS Solution LLC products requires installation by a trained, professional mechanic or technician at a commercial repair shop or facility. Installation by lay persons or installation at other than a commercial repair shop or facility will void the warranty. Damage/failure resulting from the use of inappropriate engine oil viscosity; a Porsche approved engine oil viscosity is required (The IMS Solution LLC recommends Joe Gibbs DT40 or XP9 engine oil). Damage due to accident; misuse; negligence; improper customer installation; misapplication; improper storage, or transport; improper or insufficient maintenance service. Wear or deterioration of parts, or changes in adjustment as a result of normal service. Failures due to off-road or severe service applications, including but not limited to autocross, drivers education, track days, or any race or competition or applications other than intended by the manufacturer use will void warranty. This warranty does not include any costs involved in installation. This warranty does not apply to commercial or rental vehicles. Some states do not allow exclusion or limitation of incidental or consequential damages, so the above limitation or exclusion may not apply to you. Some states do not allow disclaimer of implied warranties, so the above limitation or exclusion may not apply to you. This warranty gives you specific legal rights. You may also have other rights which may vary from state to state. These terms and conditions shall be construed in accordance with and governed by the laws of the State of Georgia notwithstanding its conflicts of law principles. You and The IMS Solution LLC expressly agree to exclude application of the United Nations Convention on Contracts for the International Sale of Goods or any local implementation of such convention. If any part of these terms and conditions is unlawful, void or unenforceable, that part will be deemed severable and will not affect the enforceability of the remaining provisions. Any dispute arising out of these terms and conditions or the use of this site shall be initiated and conducted in the state or federal courts of Oconee County, Georgia, and you and The IMS Solution LLC consent to the exclusive jurisdiction of such courts.